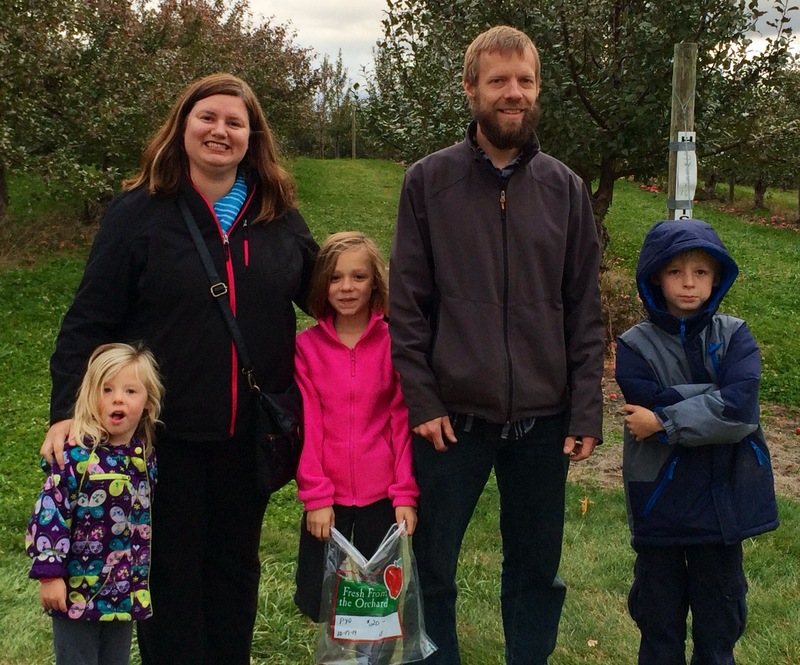 This weekend my family enjoyed a wonderful trip to the apple orchard. We always make pies with our apples, but had a few left over so I made a yummy breakfast bake. Prep Day: Toss apples with sugar and cinnamon; set aside. Beat eggs, milk and vanilla in large bowl with wire whisk until well blended. Add bread cubes, sausage and 1 1/2 cups cheese and apple mixture; stir gently until evenly coated. 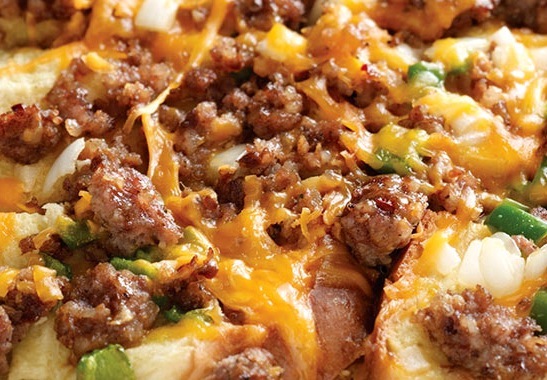 Spoon into lightly greased 13×9-inch baking dish; top with remaining 1/2 cup cheese. Cover and refrigerate overnight. Serve Day: Preheat oven to 325 degrees F. Bake covered 50-55 minutes or until knife inserted in center comes out clean. Let stand 10 minutes before cutting into 12 squares to serve. Serve with warm maple syrup.